Dreaming of a new bathroom? Mangan Joinery can help! Renovating your bathroom is exciting; not only will it improve your lifestyle but it will add thousands of dollars to the value of your home. 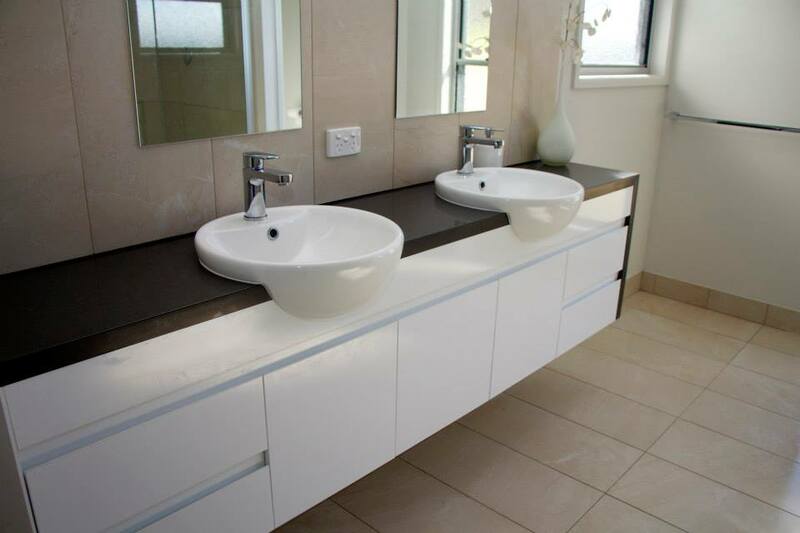 Whether you are looking for a traditional, modern or unique bathroom, we can custom build stunning vanities to suit the look and layout of your bathroom. 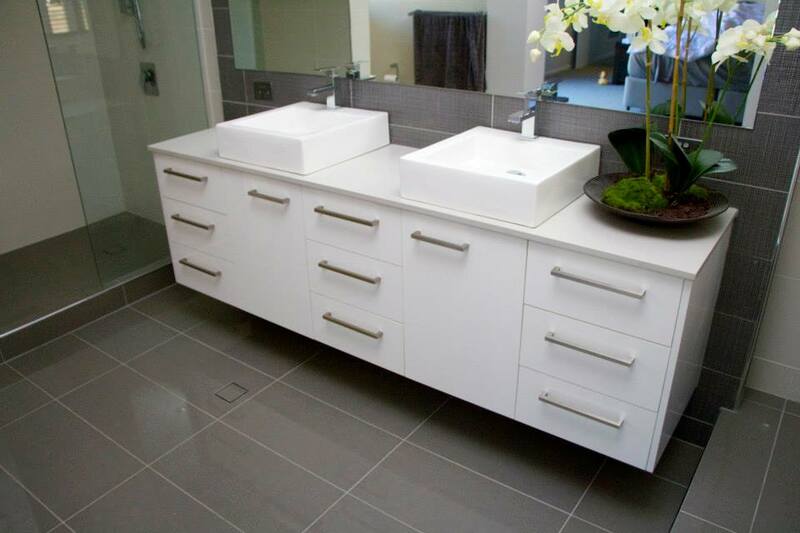 Why choose a bathroom specialist for your new bathroom or renovation project? The bathroom is not only one of the busiest rooms in the house but it’s often considered the most difficult and expensive room to renovate. We can help to design the perfect bathroom vanity to suit your layout on your budget. It is important to consider how you will use the bathroom on a daily basis. What is the main reason you want to renovate? Are you looking for more space or perhaps a more functional floor plan? Do you just want a new look and modern fixtures? Perhaps there are issues with leaks or hazards you need to address? This information is useful when establishing your specific functional requirements and determines what kind of features and materials you may need to incorporate. For example a family bathroom for children will have different needs to a couples ensuite. What are the user’s special requirements? Consider the users specific needs in that room. For example do you require extra storage due to the number of users? Would you like double basins? It is equally important to consider is how you want your bathroom to look and feel. The bathroom interior should reflect your taste and general style of the home. It is important that the look of your bathroom complements the rest of the home as this will ensure continuity as your move from one space to another. We have a large range of colours and materials available to help you create the perfect bathroom to suit your home. What styles and colours do you like? Think about your personal style – what you like and love – and ensure this incorporated into the design. Draw inspiration from magazines, websites, articles and collect pictures, notes or articles on things you like or that interest you. List all the things you would like to have included in your new bathroom and we’ll do the rest!